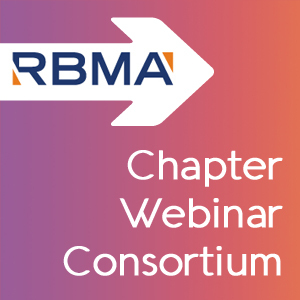 The Chapter Webinar Consortium (CWC) consists of eleven RBMA Official Chapters who have joined together with RBMA National to provide bi-monthly webinars to their members. The participating chapters are: California, Delta States (Alabama, Louisiana, Mississippi), Florida, Heartland (Kansas, Missouri), Illinois, New England (Maine, Massachusetts, New Hampshire, Vermont), Northeast (Connecticut, Delaware, New Jersey, New York, Pennsylvania), Ohio, Oregon, Rocky Mountain (Idaho, Montana, Utah, Wyoming) and Texas. RBMA Members within these Chapters register for all CWC Webinars FREE. 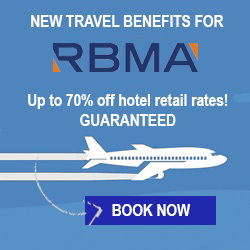 RBMA Members not located in these Chapters can register for a nominal fee ($25). Non-members may also register for an increased fee ($100). The next webinar will be held in July 2019 - stay tuned for more details! click here to access the recording (you must be logged in). - To purchase access to this webinar recording, click here.